Home » News » iPhone SE2 Will Swing Next Month? iPhone SE2 Will Swing Next Month? Apple is rumored to be working on the next generation iPhone SE. It is said that this smartphone will be named iPhone SE2. Over the past few months, various rumors and leaked information emerged online related to Apple's latest generation smartphone. Now, a recent news says that the iPhone SE2 is likely to be launched in May 2018. 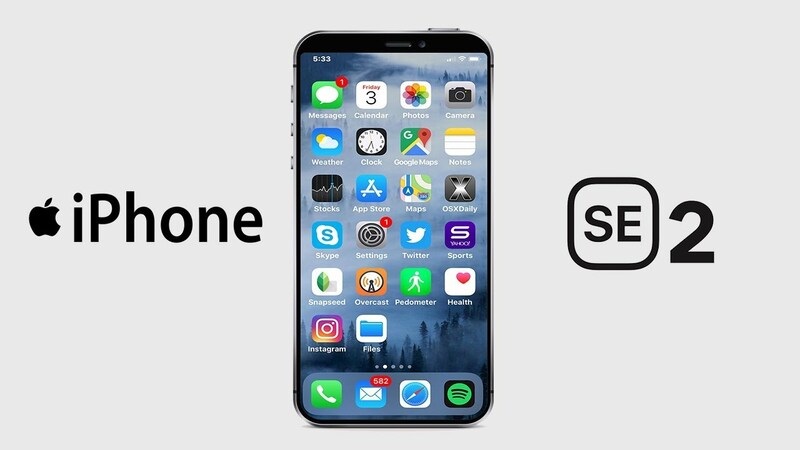 In addition to leaked information about the launch of iPhone SE2, it is likely that Apple will give a different name to the smartphone. So, not necessarily Apple will name the iPhone SE2 for the next generation iPhone SE is. The latest news comes from a Japanese website called Macotakara citing information from Apple casing suppliers. The report says that the next generation iPhone SE will be launched in May. This schedule is quite reasonable, given earlier this month, leaked documents about the filing of the latest generation iPhone SE regulations in Eurasia (Europe) which suggests that the launch of the smartphone will be rolled out in a few weeks. The latest generation iPhone design will look very similar to iPhone SE. For its performance, iPhone SE is powered by the Apple A9 chipset, while iPhone SE2 will be powered by Apple A10 Fusion processor (released during the iPhone 7-Series launch). Other news mention that iPhone SE2 is not supported by 3.5mm audio jack. Sure, before there was a rumor that says that the iPhone SE2 will come with the support of wireless charging. Meanwhile, Touch ID will still be present in next generation iPhone. This smartphone is not supported by FaceID features previously present in the iPhone X. Related to the design, it is not known whether Apple chose glass material in the body of this device. Previously, a local Chinese media publication reported that the iPhone SE2 will feature a 4.2-inch screen and use of the Apple A10 Fusion processor paired with 2GB of RAM along with 32GB and or 128GB storage options. So far Apple has not confirmed anything related to the next generation iPhone SE smartphone. While if true Apple is scheduling the launch of the iPhone SE2 in May 2018, there is also the possibility of Apple will launch its newest flagship smartphone in the event WWDC 2018, which is scheduled to take place on June 4, 2018. 0 Response to "iPhone SE2 Will Swing Next Month?"